I first started struggling with mobility in my late twenties. I injured both my ankles at the same time and suddenly it was a problem just getting around the house. In the few years afterwards, I added knee and hip injuries and several problems with my feet and toes. Despite endless physiotherapy, none of those injuries have ever healed well, so walking became a constant battle for me. I’d need to warm up for twenty minutes to be able to walk for five. After more ankle problems and several weeks unable to walk, I was assessed for a wheelchair. Due to painful joints in my hands, I couldn’t propel myself in a manual wheelchair, so I was given an electric indoor chair. It was hardly a proud day when it arrived, but it was a big relief as I could move around the house far more easily. It also helped with my old injuries as I was able to rest painful joints when I needed to. A few years later I was given an electric outdoor wheelchair, which are more powerful and have suspension. Neither are quick, just above walking pace. But they are quite fun to drive, like an oddly upright go-kart. On my first outdoor trip in a wheelchair I was enjoying myself doing a slalom through some bollards, when I noticed my reflection in a shop window and stopped. 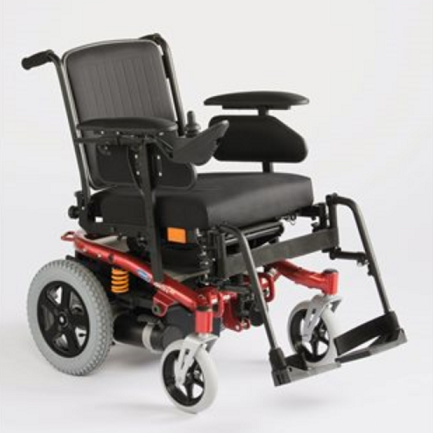 The manufacturers try to make wheelchairs look attractive, but inevitably they’re pretty conspicuous. Before EDS changed my life entirely, I used to drive old sports cars, so a wheelchair was a very different look for me and I would go out hoping not to bump into anyone I knew. I slowly got used to it but I found wheelchairs often inspire awkwardness in others. Some people try to avoid eye contact, fidget and keep any interaction to a minimum. Most people are very nice though and try to be helpful which I appreciate, …as long as they don’t go too far. You get the odd person who will literally force help on you that you don’t need or want, and then expect to be thanked. I’m a polite man, I always say thank you, but there have been many occasions when I’ve wanted to tell some condescending idiot to sod off. Access can be a regular problem. I once booked tickets for a West End show and requested disabled access seats. I travelled to London on the night and found the seats I’d been allocated were at the top of two flights of narrow stairs. My local theatre once refused me entry because I was alone. They claimed that as the lift might break down in a fire, I needed to have a carer with me. I was pretty irritated by this. How many carers could carry a six foot man out of a burning building? I said ‘I’m going in anyway. If you touch me it’s assault!’ and headed quickly to the lift without paying. It was resolved amicably, but they now ask wheelchair users to sign a disclaimer! Anyway, the reason for these observations / moans about life in a wheelchair is that I’ve just been given a new one. After 10 years, my old outdoor chair has been taken away to wheelchair heaven and replaced with a shiny new version. 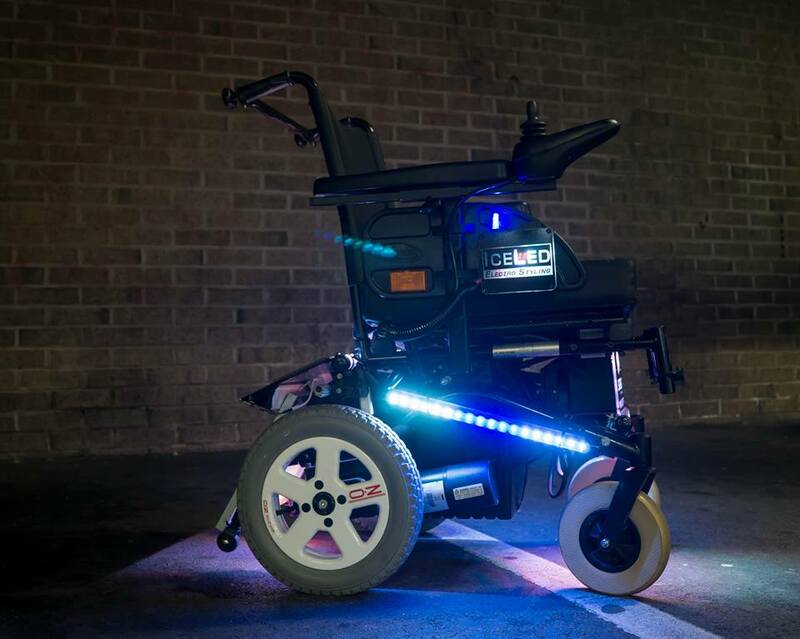 Wheelchairs have evolved over the last 10 years. My new chair is quieter, smoother, with better suspension and even traction control (I’m not kidding), so it’s much more comfortable. It’s also safer which is mostly good. 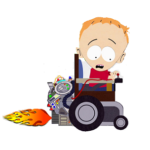 Doing a wheelie in my last chair was a regular event. I had to be careful to stop them happening. In my new chair I can’t do a wheelie even when I try, and I’ve tried very hard! So sadly it’s a bit less fun. I seem to both love and hate my wheelchairs. They give me freedom and the ability to be independent, which is fantastic. But at the same time they’re an embarrassing symbol of the terrible shape my body is in. Like it or not, wheelchairs are an integral part of my life and they’re as vital to me now as my legs were when I could walk. 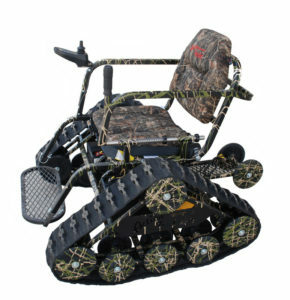 So thank you taxpayers for my new wheelchair. I’ll look after it carefully and try to make this one last another 10 years. ps. On a tangential point… I went off the band Coldplay years ago, but I really like their new track, largely due to the lyric ‘I feel my heart beating…’ As a consequence of EDS I also have POTS (Postural Tachycardia Syndrome). One symptom of POTS is I feel my heart thumping in my chest for the majority of the day. It’s distracting and often uncomfortable, but unfortunately normal for me. Still, this record is fun and my youngest niece likes the monkeys in the video. Enjoy: Coldplay – Adventure of a Lifetime. Nice wheels Ceri! I don’t see a stubbie holder attached. Is this an extra you need to purchase?! 4’7″!!! Now you know what it is like being a Graham! Hmmm – is this social comment? “Top Gear” for wheelchair users? Angry Young Man? A bid to access accessories? Whatever – I just wish you had more & better options. And that you could really wheelie.